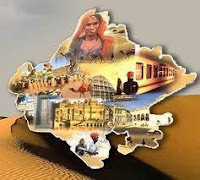 Rajasthan GK Question in Hindi Sample Paper 134: Rajasthan General Knowledge Sample Question Paper with Collection 10 Question of Rajasthan GK Questions for RAS, Rajasthan Police, REET, SI, Contable, Patwari and other state exams under GK Quiz in PDF @ Rajasthan GK Sample Papers. Rajasthan General Knowledge (GK) and General Studies (GS) Questions from various examinations of Rajasthan Govt. and central Govt Examinations. Q.2843 राजस्थानी ने "भला-भला ने मौत आवे है, तन कोने आवे " शब्दों का सम्बन्ध है ? Q.2839 प्रसिद्ध व्यक्तित्व "एलॉयसियस विन्सेंट" क़ा निधन हो गया है, वह एक प्रसिद्ध क्या थे? Q.2850 "बिग डेटा" का सम्बन्ध हैं ?